When it comes to search engine rankings, your website can only reach the top of the results list with the strategic utilization of search engine optimization, or SEO, techniques. With SEO tactics on your side, you can propel your website to the top position on search results pages for keywords relating directly back to your industry. As long as the right keywords are correctly placed in your content, your website will appear as the best pathway to a solution for dilemmas specific to your target audience’s pain points. SEO techniques allow search engine algorithms to generate a ranked list of applicable websites for each keyword, or search term, used by the end users. By weaving industry-specific keywords into the content on your main webpages and blogs, you can actively maximize the number of visitors your site attracts. The search terms allow you to point your website and content to your target demographic, which also helps to convert site visits to product or service sales. The SEO process involves the identification of applicable search terms, creation of excellent keyword-driven content and customization of meta data on your site. The identification and utilization of the right combination of keywords is key in creating an effective SEO marketing plan for your website. You must obtain and analyze internet traffic patterns to identify the keywords that apply to your offered products and services. The creation of a precise keyword map can help you develop an effective content marketing strategy for your website. From there, it is important to create valuable content for your readers that acknowledges and helps solve their exact pain points. The content must have the keywords woven through the information to create a combination that pleases both readers and search engines alike. If your content fails to match the requirements of either party, your website will not reach the highest rank. A great SEO marketing strategy requires the creation of content that not only includes the best keywords for your industry, but also helps your readers learn new information. The content needs to be informative, engaging and shareable to drive up your readership numbers naturally. If your website content has too many keywords, grammar mistakes or spelling errors, it could deter readers from coming back and even end up flagged as spam by search engines. Although the SEO approach seems easy enough at first blush, an incredible amount of skill and expertise is required to achieve the absolute best results. To ensure your marketing strategy always aligns with industry best practices, you should only obtain content from a professional well-versed in the creation of SEO friendly content. Thankfully, these professionals are easy to find – as long as you know where to look. SEO article writing service providers offer access to the best professionals in the industry, so you can obtain high quality content with the click of a button. Feel free to utilize the following list of the top 10 best SEO article writing services in your search for quality content for your site. Since their inception in 2014, StafflessSEO has helped companies, large and small, develop effective SEO marketing campaigns. Their smart approach to the production of SEO content works for both large brands, like Subway, and startups alike. The company offers a trial run of their features for free to help clients understand the value in their services. SEO Article Writing Cost: Starts at $.03 per word. Extra charge for rush delivery. Upon logging into the platform, you are given the opportunity to select your content type, number of articles and extra services, like editing, to place your order in the system. Screened freelance writers from across the United States pick up the articles and complete them by the deadline to keep your SEO marketing plan on track. You can review the effectiveness of your content production plan by utilizing the innovative SEO Rank Tracker. The ability to track and adjust your marketing tactics with the Rank Tracker puts StafflessSEO at the ninth spot in this top 10 list. Mad Content was developed in 2010 to fulfill the need for a service dedicated to the prompt delivery of search engine optimized articles. The entire order process is overseen by a content management professional to ensure you always receive the best quality of service and support. Endorsements from industry experts at WebProNews, Article Alley and Ezine Articles highlights this company’s ability to improve site rankings across the board. SEO Article Writing Cost: $.04 per word. Industry experts, Mike Pereira and Troy Broussard, utilized their skills and experience to establish MyWriters and help website owners increase the performance of their websites. Although the founders have long since directed their attention to alternate endeavors, the site continues to operate according to their vision. Before signing up for content services, you can view writing samples to envision the content on your own site. SEO Article Writing Cost: $.03 per word with a $.005 discount when ordering more than five articles at a time. Upon navigating to this site, you can place a quick order for 500-word articles tailored to your indicated industry and professional purpose. Once you place an order, a qualified content management team assigns your articles to one or more skilled freelance writers. Within seven days, you will receive your completed content, ready for posting directly on your site. Unlike the competitors, this company allows you to take a hands-off approach in the acquisition of quality SEO articles, which places them at rank seven on this list. The Textbroker content platform was developed in 2005 to support clients interested in increasing the search rankings of their websites. This company thoroughly screens writers using a series of grammar and writing tests to verify their ability to produce effective SEO content. Writers are assigned an initial star level that sets their payment rate and limits their access to the orders placed in the marketplace. SEO Article Writing Cost: Open orders from $.013 per word to $.072 per word. Direct and team orders at $.024 per word. As a client, you may place article requests on the open job board, create a team or send out direct orders. Writers pick up the content orders and write to your specifications to create keyword-driven articles that effectively improve your search ranking. The ability to offer well-written content at a great price lands this company at the sixth spot in this list. In an effort to make the content curation process accessible and affordable for all, CorpWriting was developed in 2015 as the SEO writing platform of choice for business owners and advertising agencies. Every client, from Fortune 500 CEOs to small business owners, receives personalized service and support from this company. A multi-faceted guarantee ensures you always receive quality SEO content that helps attract your target audience. To place an order, you select the SEO content type and number of articles you wish to receive. The management team will then match you with a freelance writer who has demonstrated their knowledge and experience in your industry. The quick and easy interface, and integrated support services, allows you to place your order in seconds and move on with your marketing plans. The fifth spot on this top 10 list is secured by CorpWriting due to their straightforward order interface and simple pricing plans. We have written a detailed review about BKA Content, which you can read here. In 2009, BKA Content was launched to provide website owners with a dedicated place to acquire quality SEO friendly content. To fulfill the vision of the company founders, the team always remains involved in every point of the content creation process. You will receive personalized support services from dedicated team members as soon as you request a trial order. SEO Article Writing Cost: Starts at $.04 per word. Extra charge for meta descriptions, title tags and social media posts. You have your pick between several different custom content plans designed to improve your SEO strategy. You can utilize a series of drop down menus and tick boxes to select the specifics of your article and add extras to your order. The vetted freelance writers aim for a keyword density rating of one to three percent, which keeps search engines from flagging your content as spam. The personalized approach employed by this company places them at the fourth rank on this list. Crowd Content entered the SEO marketing realm in 2011 with a focus on quality, affordability and accessibility. The founder, Clayton Lainsbury, built the powerful platform from scratch to ensure clients and writers found it intuitive and simple to navigate. This technologically advanced approach allows this company to effectively help their clients meet their content creation goals with ease. SEO Article Writing Cost: $.02 per word to $.12 per word. With this company, you may either manage your content strategy plans yourself or hand over control to a skilled marketing professional. With the self-service option, you simply select your article requirements and place your order on the job board. You will receive the completed article by the deadline and may either accept it as is or request targeted revisions. This company’s ability to streamline the content creation process with their innovative marketplace platform earns them the number three spot on this list. We have written a detailed review about ConstantContent, which you can read here. From e-commerce websites to tech startups, businesses from every industry trust Constant Content to provide top quality SEO articles. This company was founded in 2004 to give writers a chance to utilize their skills to further business endeavors worldwide. This company welcomes skilled freelance writers to apply for a place in the marketplace by proving their skills and experienced with a written test. When you need an article, you can easily browse through the article marketplace to find your ideal SEO content. If you cannot find anything relevant, skilled writers on the platform can apply to your casting calls and produce content to your exact specifications. 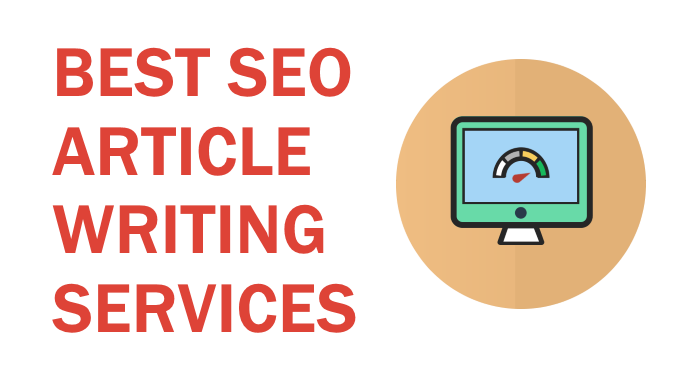 The ability to select between articles written on spec and those produced specifically for your needs places this company at the second spot on this list of the top 10 best SEO writing services. In 2010, visionary Byron White established the WriterAccess content marketing platform to link exceptional writers with clients in need of SEO content. Although the corporate offices are located in Boston, Massachusetts, this company sources professional writers from all across the United States. Writers go through an extensive vetting process to earn access to the system and receive an initial star rating. SEO Article Writing Cost: Skilled-based tier pricing starting at $.04 a word. Editing extra, starting at $.02 per word. As a client, you can set the star level, add order instructions, establish a deadline and select keywords for every article you order. You can elect to create your own team of writers, send out solo orders or simply place your project on the open job board. You can even request writer recommendations from the management team to find a professional experienced in the production of content for your industry. The ability to fully customize your orders to best meet your SEO marketing goals and available budget places this company at the number one spot on this list. Set up in 2015, GoSuperb is one of the newest writing services companies about. Their website hammers home the message that they provide something different to the larger SEO writing and content firms out there. They have rigorous tests in place to ensure all of their in-house writers are either native speakers or of native-speaking standard. Only the turnaround time and depth of research necessary affect the price per word of their articles. Ordering is a straightforward process and there are two separate pages of fields that pop up so you can fill in all your requirements. For added peace of mind, all work comes with a grammar-based money back guarantee and unlimited rewrites if you fail to be satisfied with the first piece of work. Time will tell if they are able to maintain their potential market-leading start, as despite still being in its relative infancy, the company is already setting a new benchmark for SEO article writing services. GoSuperb’s fresh take on pricing and their innovative business model, places them at the top of our SEO list. This was a list on the best SEO article writing services that you can find online.